My dad often jokes about my mom being too thrifty, too tipid with everything. When preparing a sandwich and he knows she's within earshot, looking all miserable he'd spoon sandwich spread too thin onto the bread and mumble something about not wanting to get scolded by her if she finds out he had done otherwise. My brother and I, and even my mom herself, would laugh because we all know that's exactly how she makes our sandwiches—tipid sa palaman. I thought of this after I tasted the cookies my friends Cams and Claire had sent me to pick up in Eastwood last Tuesday, but not for the same reason my dad would mock my mom's sandwich-making. 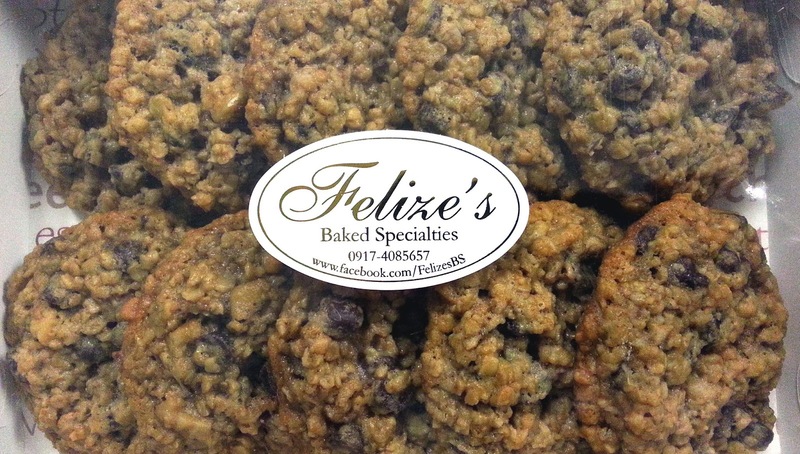 The cookies were from Felize's Baked Specialties, a home business whose proprietress is Liza Valente. They were not at all tipid in ingredients, I tell you. And they're the best homemade cookies I've tasted so far. 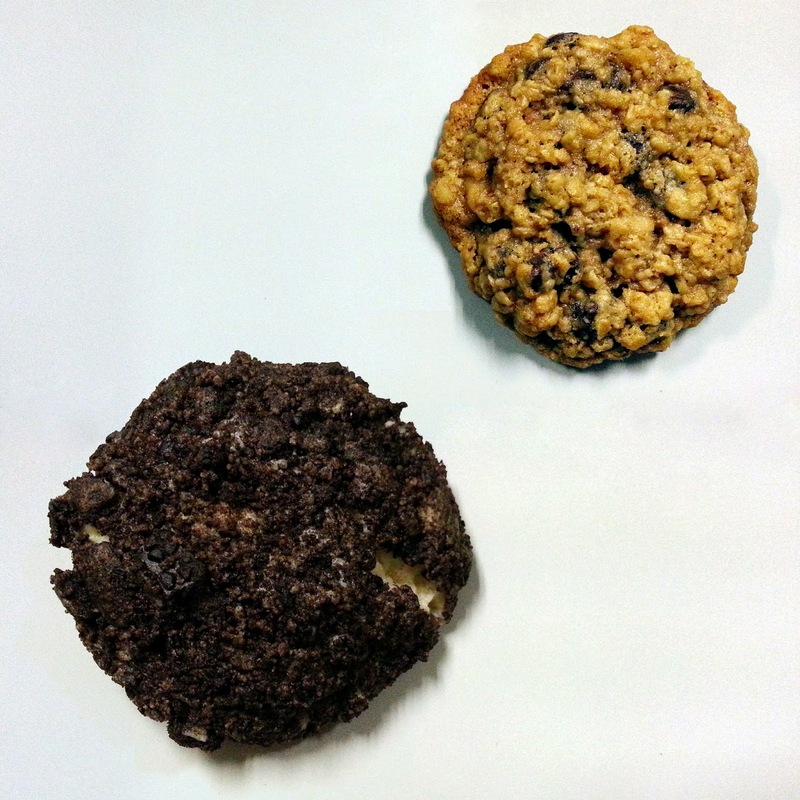 Cams and Claire ordered two cookie varieties—chocolate chip oatmeal and Oreo cheesecake. The chocolate chip oatmeal cookies were sufficiently chewy and had walnuts and big chocolate chips, unlike the ones too meagerly sprinkled on store-bought variety. They have to be consumed quickly (wasn't a problem for us) or else the chocolate chips will melt. The Oreo cheesecake cookies had Oreo filling and cream cheese mixed together and covered in crushed Oreo sandwiches. They were very sweet, just the way I like it—and I have a really high threshold for sweetness. Look at that cream cheese filling. Sinful. Felize's Baked Specialties got its name from its proprietress' complete first name Feliza, with the "a" turned into an "e" for a twist (her kids' idea). The business started in 2008 as Ms. Liza's solution to her mom's Christmas giveaway problem of giving to about 25 people with only a limited budget of P2,000. Ms. Liza had been baking banana loaves and cookies at home for her kids, so after scouting around with her mom for the giveaways and finding that nothing fit her mom's liking and budget, Ms. Liza offered to just bake some banana loaves for her. They were a hit. Her kids had also been bringing her cookies as baon to work and after they shared them with their co-workers, the orders began pouring in. They've been busy in the kitchen every weekend since. In 2010, Felize's opened a shared booth at Mercato for a weekend, joined weekend bake sales and started delivering to a theater, a coffee shop and offices. Since 2011, the months of February and December have become dedicated to baking. The rest of the year, Ms. Liza works as a market research translator. A box of ten chocolate chip oatmeal cookies by Felize's Baked Specialties costs P400, though you may also purchase a box of six for P240, putting the cost per cookie at only P40. 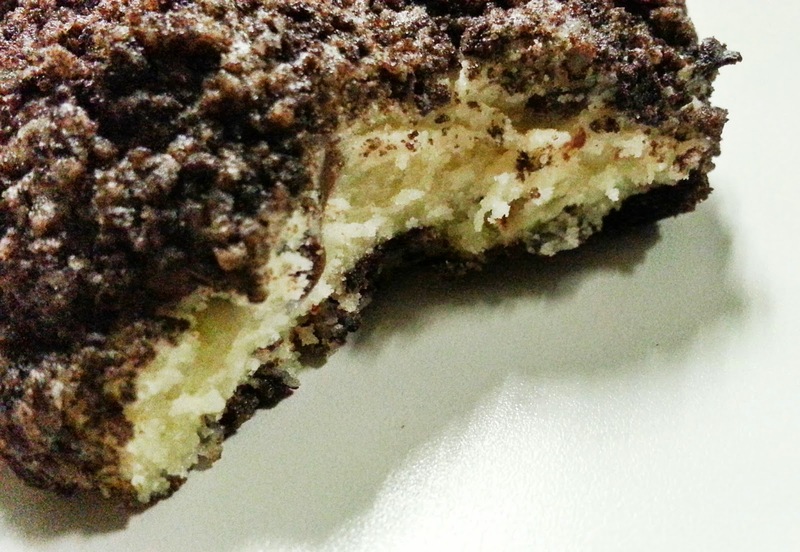 The Oreo cheesecake ones cost P410 for a box of ten and P250 for a box of six. Not bad prices at all for such delicious treats. Felize's Baked Specialties still makes banana loaves, along with food for the gods and four other cookie varieties—lemon macadamia, rocky road, chocolate Reese's and Toblerone—though said varieties are usually only available during Christmas season, unless perhaps you place a large order. Can't wait to try them come the holidays. You may visit facebook.com/FelizesBS or contact Ms. Liza Valente herself at 0917-408-5657 for more info. Another new treat I got to sample this week was something my good friend Hannah made. I'm still sad that she quit her job and I don't get to see her in the office anymore, but she seems genuinely happy, especially having found a hobby she can earn money from: making puto flan. I googled it and apparently it's more known as "leche puto," but one gets the idea with either name anyway, that it's a fusion of puto and leche flan. And "leche puto" sounds like an expletive to most Pinoys. 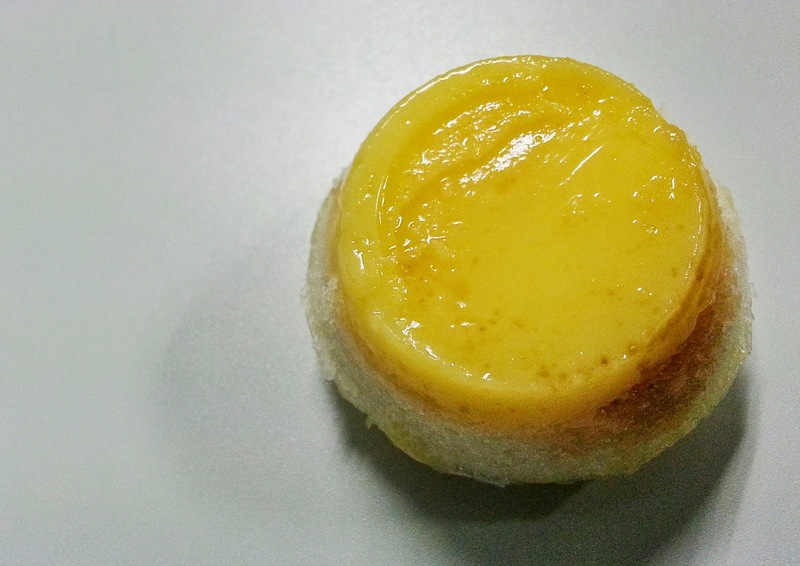 Hannah's puto flan...or leche puto, whichever you prefer. 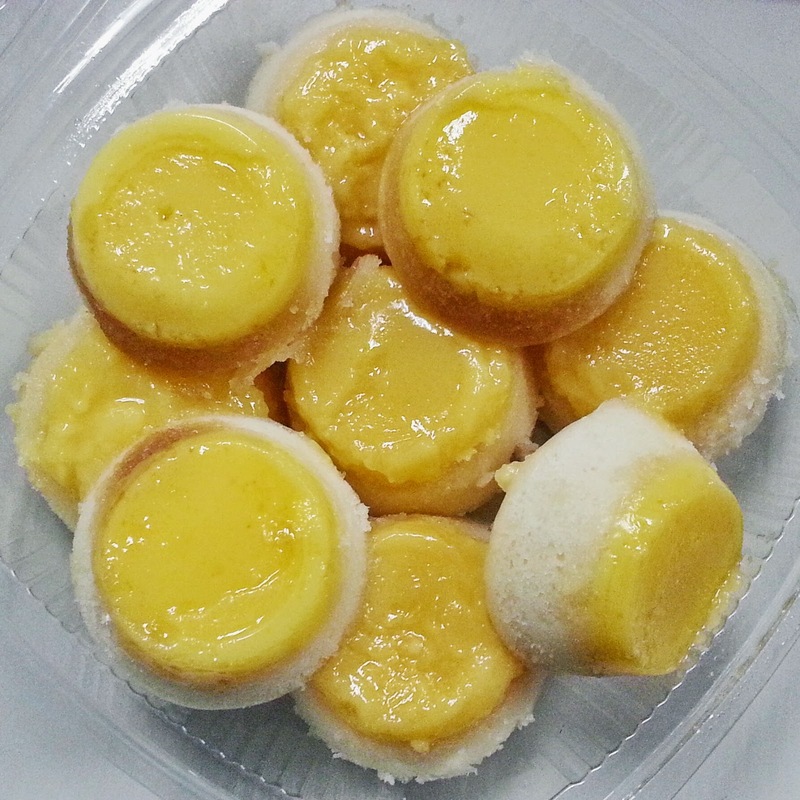 I've never been a fan of puto, the classic Filipino steamed rice cake, no matter the color or size. Unless there's a really thick strip of cheese on top. Or a slathering of creamy custard, as it turns out. Leche flan I am very much a fan of. So puto flan works for me. Hannah has made both miniature and medium versions of the puto flan but says she can't make them big because she'll have a problem with the custard. She plans to experiment with more puto fusions, which I'm naturally excited about. For now, she's accepting orders for the puto flan, priced at P60 per eight medium pieces or P100 per fifteen. If you live in Quezon City, I'm sure arrangements can be made for orders to be picked up. Do get in touch with Hannah at 0998-558-7840. Go try it! It really is good!